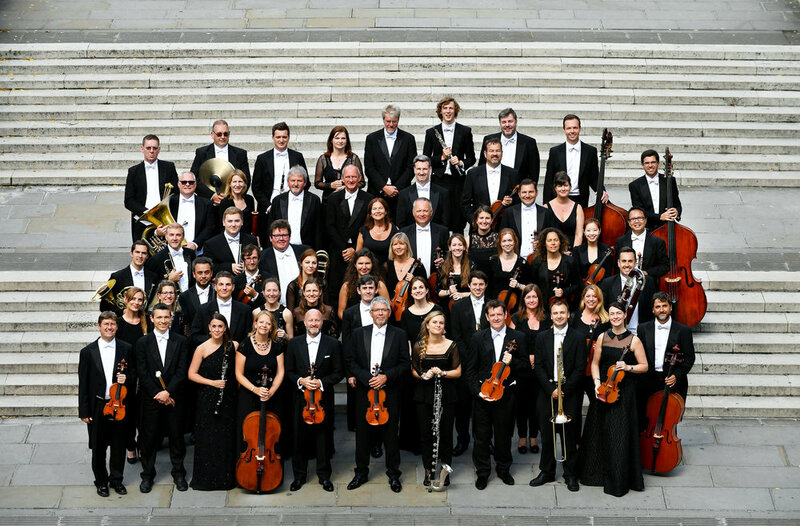 The Royal Philharmonic Orchestra has ever been the zenith of musical achievement and to see its vast glamorous ensemble, the youthful faces and glossy-haired young women players is impressive. The company is so large, the bulky lorries needed for the instruments so massive it is a wonder they arrive at all. Used to the glittering concert halls of Europe’s capitals their tour throughout Britain and Ireland is a marvel – and a heart-lifting experience for anyone who wants to connect with classical music at its most flamboyant, with live players at the top of their game. The crowning glory of last night’s music must be the presence of world-famous conductor Pinchas Zukerman, a Colossus of modern music who has bestrode the global music world for decades. If a visit from the RPO is a treat, to hear – and see – Zucherman in action is a real and rare privilege. Last night’s concert began with Vaughn Williams’ Fantasia on a Theme by Thomas Tallis. With its lilting melodies taken from the composer’s forays into English folk music, it reaches back to troubled Tudor times and Thomas Tallis’ famous theme. The piece appears as English at it gets in inspiration – Vaughn Williams was a local lad, studying and then working yards from this performance venue, at Trinity College and a few small pieces emerge from his organ- playing time there. It was only when he began an apprenticeship with the French romantic and modernist Maurice Ravel in Paris did his lyrical creative genius take off. To hear the piece is so restful, so reassuring, you can feel the breeze on the Suffolk coast and hear the larks flying heavenward in the singular string fantasia. The piece as played last night was a recipe for perfect pastoral peacefulness – a blissed-out rapture which lulled listeners around me into deepest reverie, a dream of childhood perhaps , a gentle expansion of the soul. Next was Mozart’s Symphony in C Major, the Linz – because it was composed in that town whilst Wolfgang Amadeus and his wife were staying with the local bigwig, Count Tun. He was expected to sing for his supper. The Count planned for Mozart to give a concert “ But I haven’t a single symphony with me” he confided in a letter to his anxious father ” I am writing one at breakneck speed” The result is a delight. It began quietly enough but soon the ever-lively Mozart originality breaks out in the second movement into a dance, brightened by trumpets and drums and it all ends with a fabulously festive dash of flamboyance towards the joyous finish. It is so vibrant so energetic and life-affirming you cannot help to find a smile all over your face at the end. Work under pressure? No problem for this ever-delightful all-too-human composer who clearly loved life and (almost) everyone in it. For anyone like me who hasn’t seen a player conductor before, the Violin Concerto in D Major was a surprise. Beethoven’s piece was, like Mozart’s , written at the very last minute. In fact the musicians only saw it the night it was played. Beethoven was working on it until the very last minute. He wrote it without pause his assistant tells us “ pretty well straight through’. In its day the centre- stage violin was taken by the virtuoso of his day Franz Clement – last night it was the Conductor himself Pinchas Zuckerman who swiveled around from his conducting to reveal violin and bow and began the astonishing work of sublime playing which had the audience silent with breathless admiration. Warm beautiful , but revolutionary and defiant, this Beethoven masterpiece in the hands of a world master defies superlatives. It was a thrilling life experience, a call to dispel despair – a joyous revolutionary anthem to rival his Ode to Joy.